Vedalken Orrery is a very popular card, as evidenced by its appearance in 14,588 decks on EDHREC. Is that number too high or too low? Welcome to Superior Numbers, where I try to do some numerical analysis on the popularity of a card using more math and less snark than in my usual column. The first time around, I concluded that Exotic Orchard was underplayed. This time, however, I’m looking at a card that may be overplayed. Right off the bat, let’s address the elephant in the room: The Command Zone, and particularly Josh Lee Kwai, loves Vedalken Orrery. And he should! It’s a really good card. But is it a card that goes in every deck, as stated on the podcast and on Game Knights? The card’s recent surge in popularity and price seem to indicate plenty of people agree, but I wasn’t quite sure. I set out to see if I could find some data to verify that one way or another. I’ll tell you my conclusion. Eventually. The genesis of this experiment has two parts. The first began as a conversation with fellow EDHREC writers about running the card Amulet of Vigor in decks whose mana base consists largely of lands that enter the battlefield tapped. My comment from that conversation was this: you shouldn’t run cards whose sole purpose is to make bad cards less bad. That isn’t to say Amulet of Vigor doesn’t have a role; it certainly does. Decks like Lord Windgrace, for example, tend to run Scapeshift and Splendid Reclamation, and can therefore reap many benefits from untapping the masses of lands those spells provide. Amulet is a really solid card. It’s just probably not worth a slot in your deck if all it’s doing is turning your Golgari Guildgate into an unfetchable Bayou. 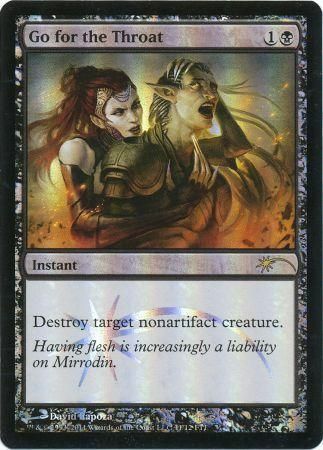 This discussion got me thinking about other cards that could qualify as “only there to make bad cards less bad,” at which point I bumped into Vedalken Orrery. It’s not a perfect comparison; Orrery doesn’t really make bad cards less bad so much as it makes good cards better, and that’s significantly more useful. Still, it doesn’t do anything unto itself, and that’s always less than ideal. I run Orrery in a deck where it is a perfect fit: a Glissa, the Traitor “deathtouch tribal” list. There’s nothing better than flashing out (or threatening to flash out) a deathtouch creature in a deck where every single creature kills anything it blocks. 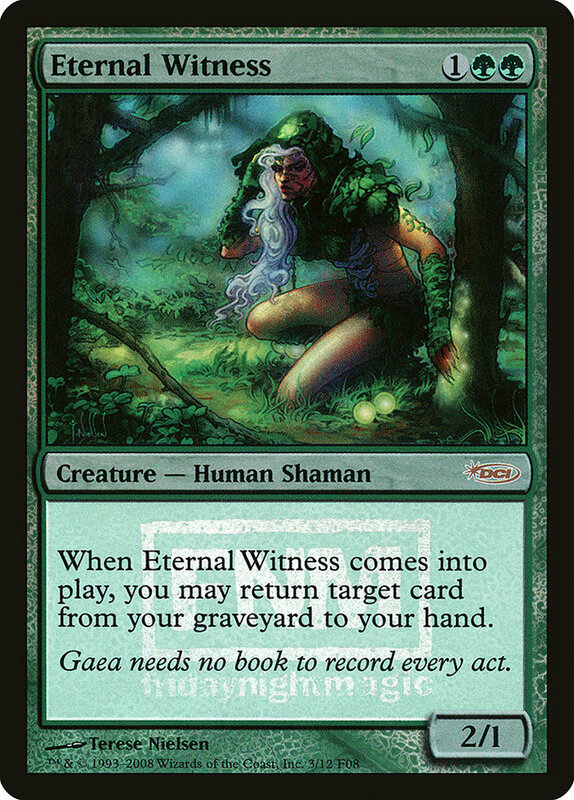 In addition, because Glissa lets me recur artifacts from my graveyard when an opponent’s creatures die, already useful draw engines like Mishra’s Bauble and Urza’s Bauble go from ‘nice artifacts that may draw me a spell every trip around the table’ to ‘artifacts that can potentially draw me multiple cards per round, even on other player’s turns.’ Lastly, Orrery itself can also be recurred this same way if someone hits it with a Disenchant or similar removal spell. It really is a perfect deck for it. Even so, there are times where it’s the very last thing I want to do with four mana. So between the fact that I’m not sure I like cards that don’t necessarily do anything but make other cards better, and the fact that in the perfect home I still don’t always love it, I began thinking about whether or not I could quantify the usefulness of Orrery, and thus, here we are. We’ll discount the instant spells from the list, as they gain almost nothing from having flash. I’m also going to disregard planeswalkers. Yes, you can technically flash them in with Orrery before the start of your turn to protect them from attack, but short of a Teferi, Temporal Archmage emblem you can’t activate their abilities until your turn, which nullifies most of the advantage of casting walkers at instant speed. That leaves the average deck with 56 spells that can benefit from Vedalken Orrery (not counting any that may have flash baked into the card). 56 is certainly more than I thought the average deck would have in their list. However, this number isn’t entirely accurate. You’ll notice that the totals above only leave room for 32 lands on average, which seems really light for most decks. That’s because cards with dual types, i.e. artifact creatures, artifact enchantments, enchantment creatures, and artifact lands count twice when data is pulled, so the actual total amount of nonland spells in decks is probably closer to 50. This is where things get really tricky. Do all 50 of those spells benefit from having flash? Yes… and no. Cards in the ‘No’ category are things like Nature’s Lore. Ramp at instant speed does almost nothing for you, save for the really narrow situations when someone Armageddons and you want to float mana to cast a land-fetching spell immediately afterward. On the other hand, leaving BG free for a Go for the Throat is way easier when you could also use that mana on your Nature’s Lore in case no one casts a creature worth killing. Because of the extreme situational variance, it’s really hard to figure out what impact it has on play. So what can I figure out? Well, remember how I noted there were times when casting Orrery was the last thing I wanted to do with my mana? That’s because, in those situations, I was stuck in a position where it wouldn’t allow me to do anything until the next turn, when I untapped. That meant I was in a precarious position; I’d have to spend my entire turn on a card that would only pay off theoretical dividends down the road, but would do nothing to stymie the enemies currently breathing down my neck. Thus, my goal is to try to figure out how often that particular scenario happens, how often Orrery used up a turn without accomplishing anything, and what the turn afterward looked like. Draw seven cards to begin the game, mulligan-ing to something playable. Played my first four turns normally as if I had no knowledge of what I would draw on Turn 5. 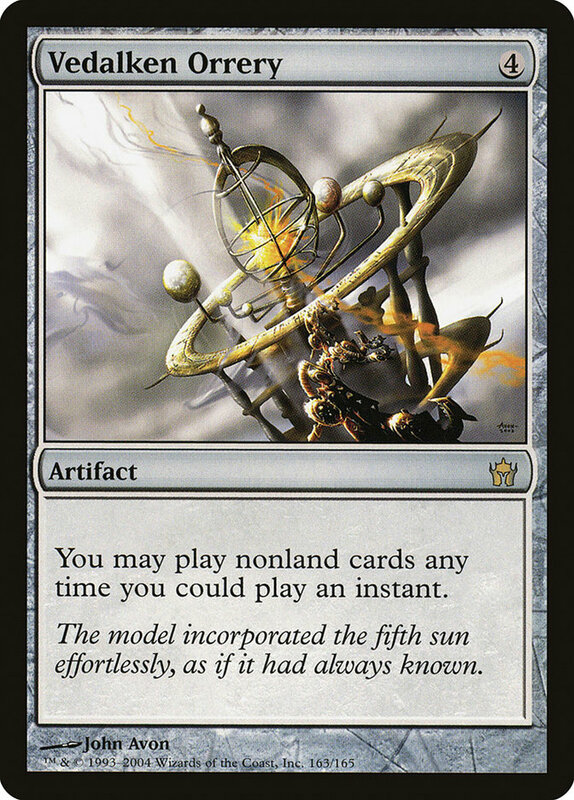 If I didn’t draw a Vedalken Orrery, whatever the card I drew on turn five became a proxy of it. Cast it that turn if possible. Note whether or not it allowed me to do anything on that turn. Continue to Turn 6 and note how many cards in my hand were viable to cast at instant speed with Orrery. I defined ‘viable to cast’ as ‘having the potential to be useful.’ A Vindicate could be viable even though I don’t have other board states to evaluate, whereas an Eternal Witness with an empty graveyard would not be. In fact, there was one instance where I had a Witness in hand and had a fetchland in the graveyard and I counted that as ‘viable’ even though it’s not a choice one would make that often. The fact that it existed as a choice means it counts. My idea of the optimal plays for a deck I’m unfamiliar with may be incorrect. Some decks aren’t designed to play this way. I tried to skip ones where the owner clearly noted the deck had a really narrow win path (Captain Sisay into Paradox Engine is one example) but there’re some I probably missed. Casting Vedalken Orrery on Turn 5 left mana free for an additional viable spell a mere 6% of the time. On Turn 6, if I did nothing on my main phase but play a land, Orrery had an average of 1.78 cards it could flash from my hand. This means the vast majority of the time, casting Vedalken Orrery in the earlier turns of the game takes up your entire turn doing nothing, and on the subsequent turn it enables on average less than two cards. That also doesn’t factor in whether or not the cards it enables are actually worth casting at instant speed. So what’s the takeaway here? Well, I’m not really sure. I don’t love casting a card that Time Walks myself, but sometimes a long-term investment pays off down the road as you continue to draw more spells. According to some, Phyrexian Arena is no longer a card we should be running because it requires an upfront investment for a slow payoff, but more often than not, Arena pays you back something sooner than Vedalken Orrery. This artifact’s immediate impact is very, very minimal, which means the card doesn’t just cost you four mana, it also costs you time and tempo, and that cost shouldn’t be ignored. The argument then becomes this: does Orrery’s upside counter the downside? My answer is . . . maybe. Maybe it does. It just probably doesn’t do so in every deck, as has been posited in the past. Some decks, especially quick ones, may not want to take an entire turn off to cast things at instant speed down the road. If you’re in it for the long game, and you already want to hold up mana for effects like Breya, Etherium Shaper or Thrasios, Triton Hero, it’s an excellent fit. 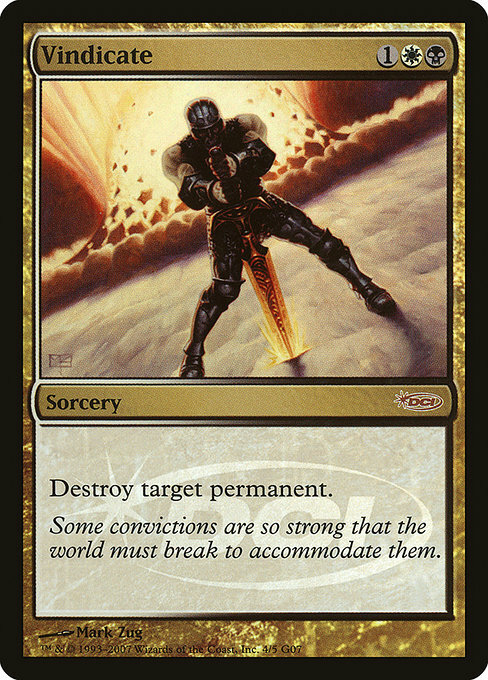 If, however, you’re looking to punch people with Xenagos, God of Revels, taking that turn off could be the difference between an opponent dying or that opponent having enough time to prepare a defense. While it’s true that tons of cards can benefit from instant speed, Orrery seems to require a bit more building around than it first appears. 7 decks tested were unable to cast Vedalken Orrery on Turn 5. Of the 100 sample decks, I never naturally drew Vedalken Orrery. I hit a surprising amount of decks that seemed to be crafted with non-standard mulligan rules in mind (i.e. lower-than-expected land counts for a deck with a high average CMC, and no real cheap, powerful mana ramp). That might be my next area of examination if I can figure out what to look at. That’s it for this second volume of Superior Numbers. I think I may try to alternate monthly between this an In the Margins going forward, so if you have any suggestions for either column I’d love to hear them. As always, thanks for reading! PS: Here’s that Glissa deck that likes flashing in deathtouch blockers.